I know tons of folks who can’t wait for Labor Day each year so that they can bathe themselves in pumpkin spice everything. Not me though. Nope, my favorite fall flavor is decidedly apple. Apple cider, apple cider slushies, caramel apples, apple crisp. It all begins with the apple. 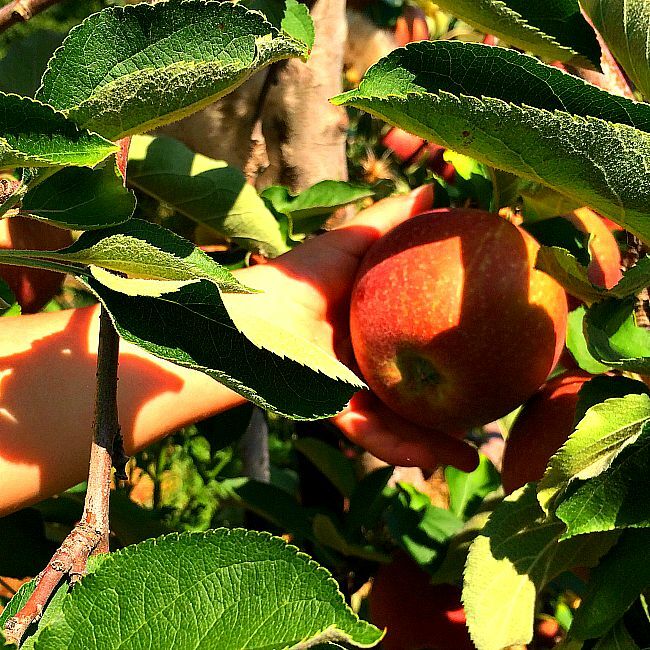 I can’t think of a better way to celebrate apple season than to go apple picking. 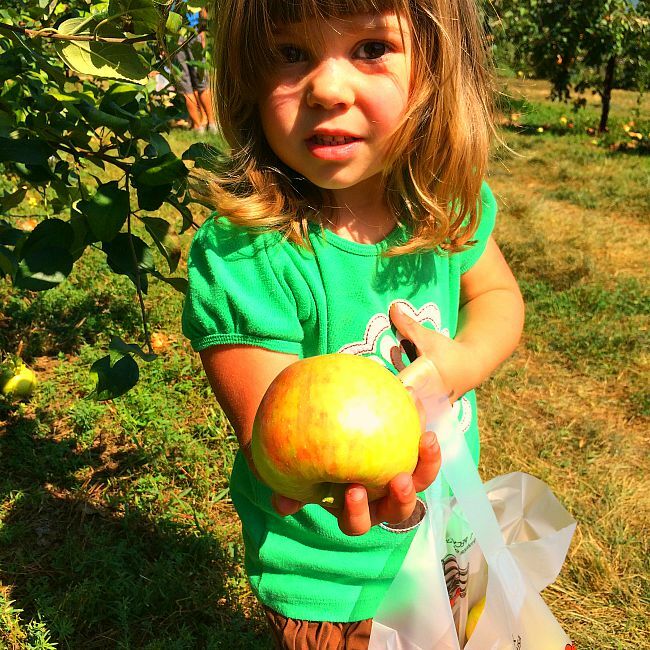 Recently, Sweet Pea and I went apple picking at Baugher’s Orchards and Farms in Westminster, MD. 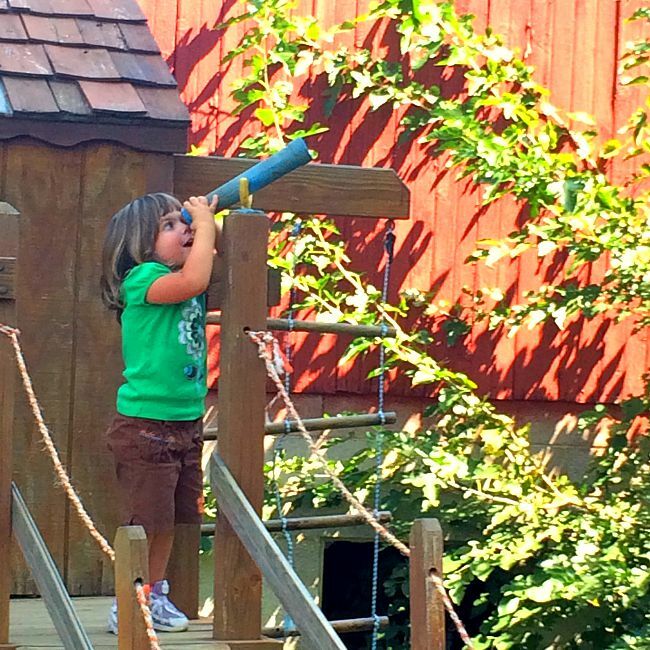 We had a blast and I know you will want to add it to your list of fall Fun Things to Do With Kids in Maryland this season! We decided to check out Baugher’s on Labor Day. So, essentially the beginning of apple season. 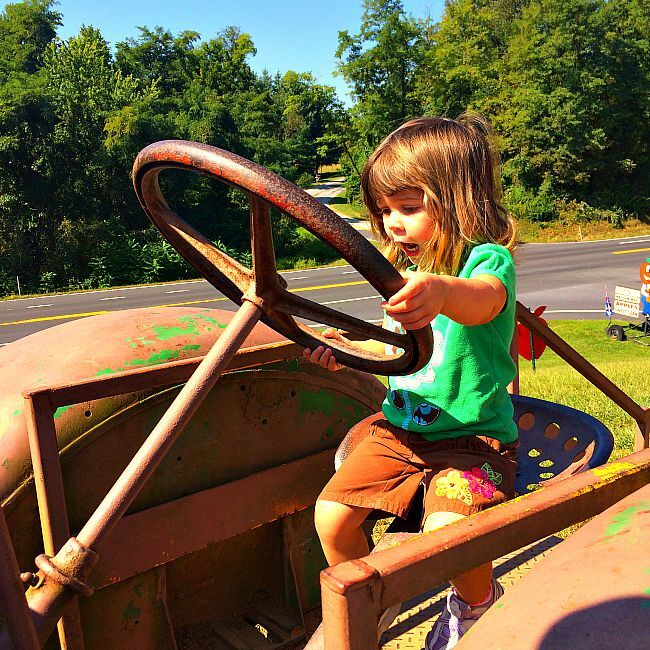 Baugher’s is well known for their Honey Crisp apples, and the notion of spending some time outside with Sweet Pea on such a beautiful day was too good to pass up. 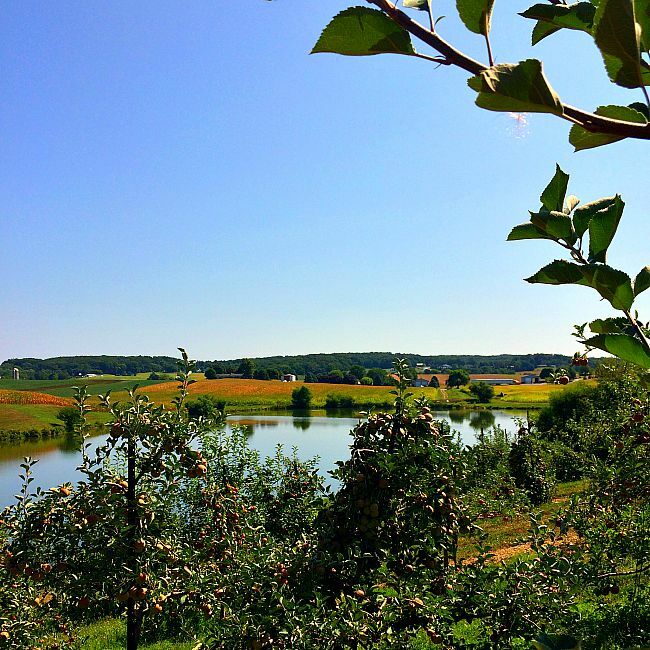 Once we arrived, we purchased two seats on the tractor-pulled wagon ride out to the orchards and before long, we were in the middle of rows upon rows of apple trees, ripe with beautiful and apples. Baugher’s provided bags for apple picking (they even had smaller bags for smaller hands) and directed our group to the two or three rows that were ready for picking. With that, we set out on a relatively short walk downhill to where the trees were not picked over. There were plenty of apples on the lower branches, even near the top of the hill. However, we kept walking toward the bottom in hopes of finding super red apples. It was really fun to show Sweet Pea how to gently twist and pull the apple off the tree. 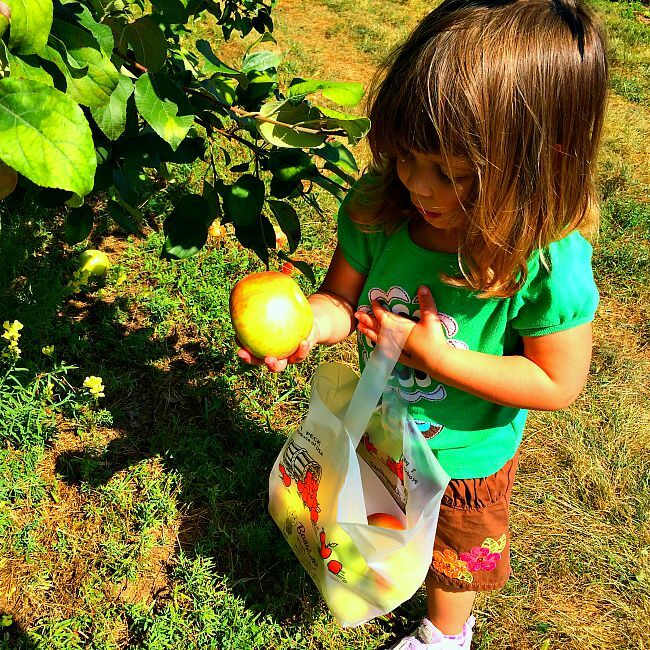 Sweet Pea got a kick out of counting and sorting the apples. She would fill her bag up and then empty it out, counting the apples as she went. Eventually, all but about three or four apples made it into my bag. 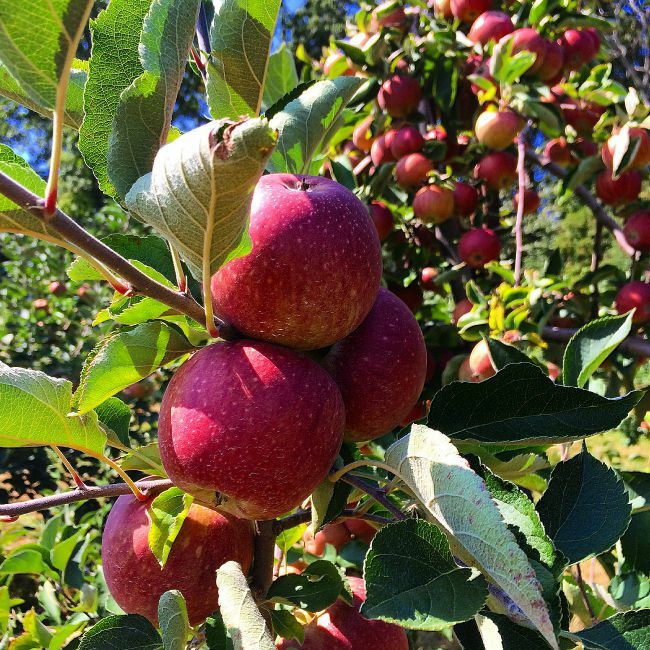 Once we filled our bags with beautiful red apples, we started the trek up the hill. We only had to walk maybe 1/4 mile uphill but I was worried that Sweet Pea would ‘get tired’ and whiny. You know, the recurring nightmare of every parent of a toddler or preschooler. However, she was a trooper. I ended up carrying her apples (of course), save for the one she picked out and started eating right there on the spot. It must have been delicious because she ate that apple all the way up the hill, onto the tractor, and back to Baugher’s main market. So, overall, our apple picking experience was pretty great. I do have a few tips though, that will hopefully make your trip even more enjoyable. Someone was lucky enough to pick the great apples at the top of the hill. I imagine those apples were picked either earlier in the weekend or earlier in the day. This is really just speculation. I imagine that you could call ahead though and find out more about where the great apples are. As we walked back uphill, I noticed that the apples a row over (in the cordoned off section) looked really nice too. I bet those rows were about to be opened up for picking. If it is a sunny day, you will want a hat and definitely put on sunscreen. Go to the bathroom before you head out. There are no port-a-potties (at least none that we saw) at the fields. Bring water. You will get thirsty, especially if you end up picking apples at the bottom of the hill. Next to the main barn, Baugher’s has a very nice little petting farm area. You can buy animal food at the main barn store. We picked up two bags. All of the animals eat. Ha! 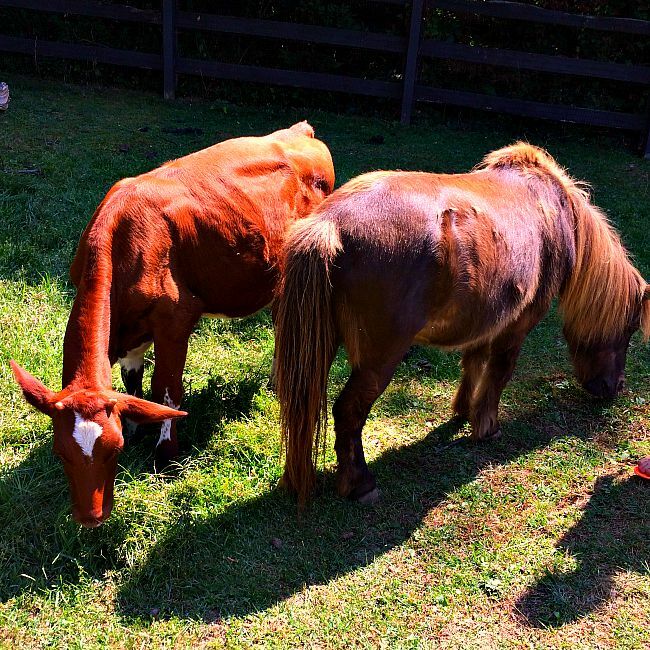 Seriously though, Sweet Pea fed pigs, bunny rabbits, goats, chickens, roosters, pigs, turkeys, sheep, and even the cow and pony. We were able to pet the bunny rabbits and sheep. The goats were typical goats… Sweet Pea made a very attractive target for them to jump on, so we didn’t spend much time hanging out with the goats. 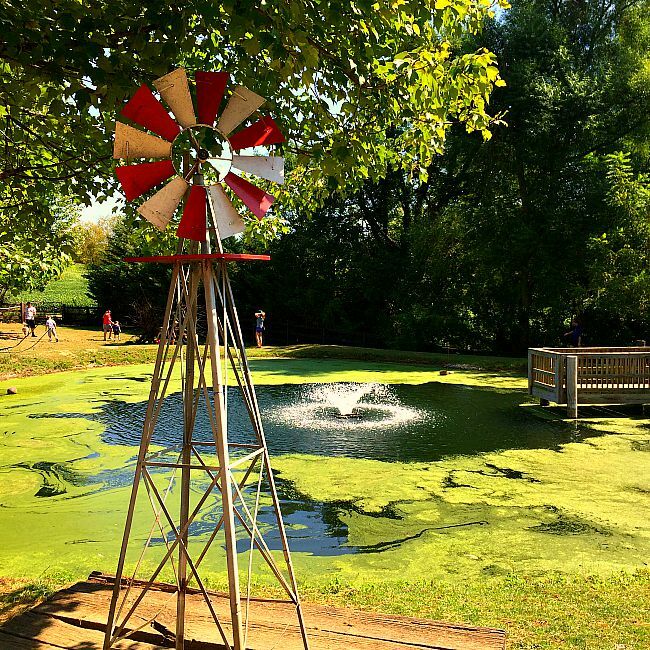 At both the petting farm area and the main barn area, there are a few really fun play areas. Sweet Pea just had to try out the tractor of course! 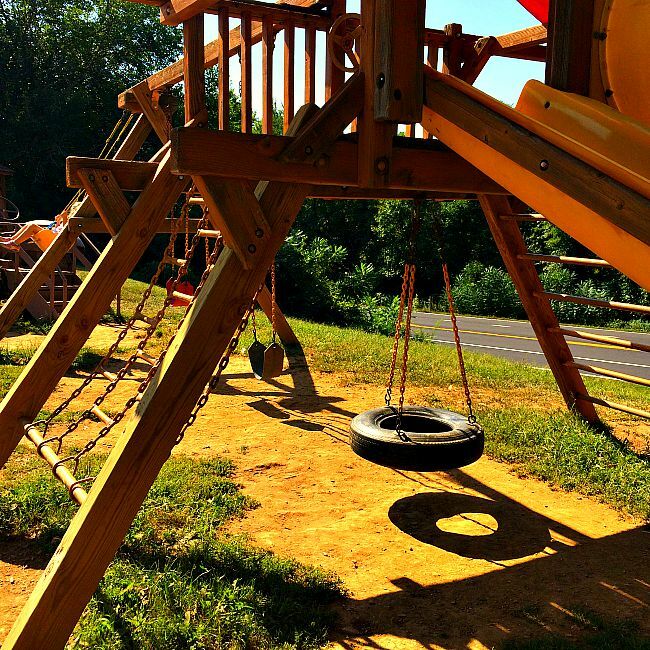 Between the three main play areas, there were numerous slides, swings, and play houses. 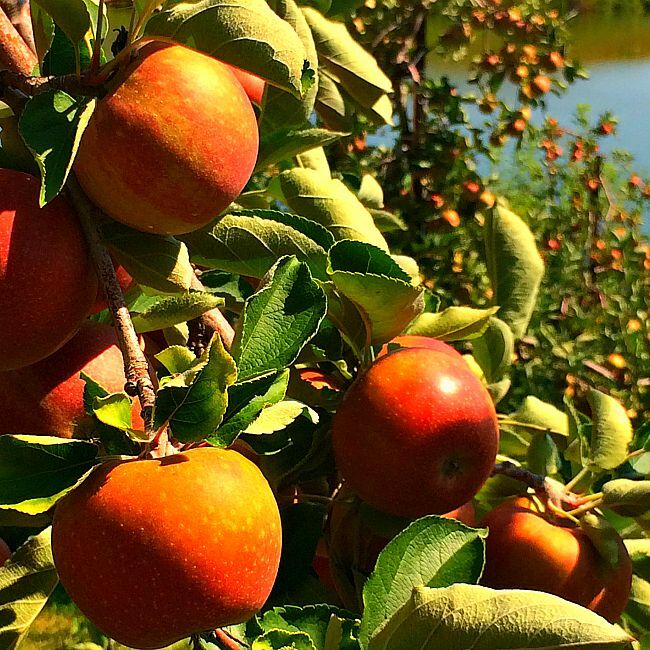 So, are you ready to go apple picking yet? Well, here is your invitation! With apples like these, how could you possibly resist? 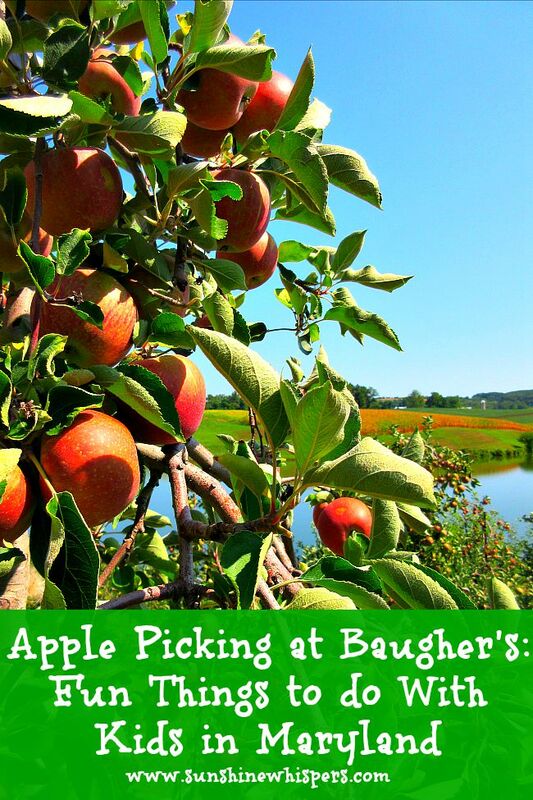 If you want to go apple picking at Baugher’s Orchard, apple season will last a few more weeks. Baugher’s actually has two fresh fruit markets, a bakery, and they have a restaurant just a mile or so down the road. Everything is delicious and you will want to budget time and money to sample the treats! 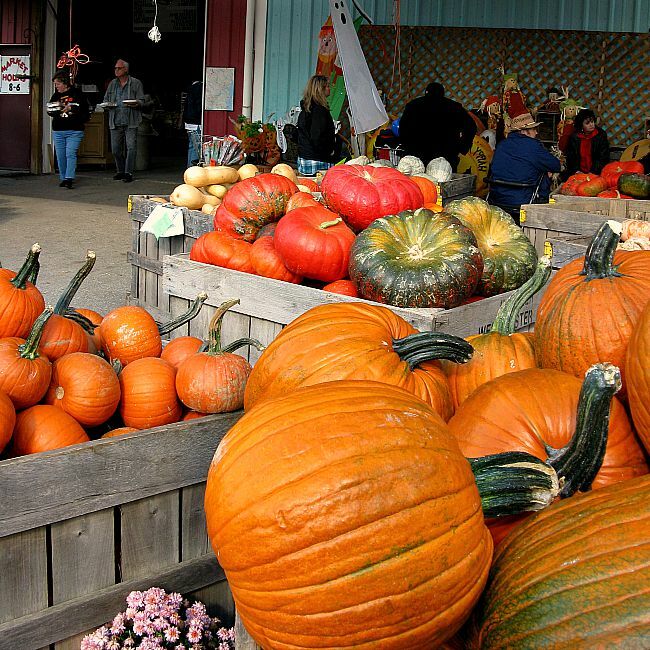 Baugher’s is a great place for pumpkin picking in October as well. 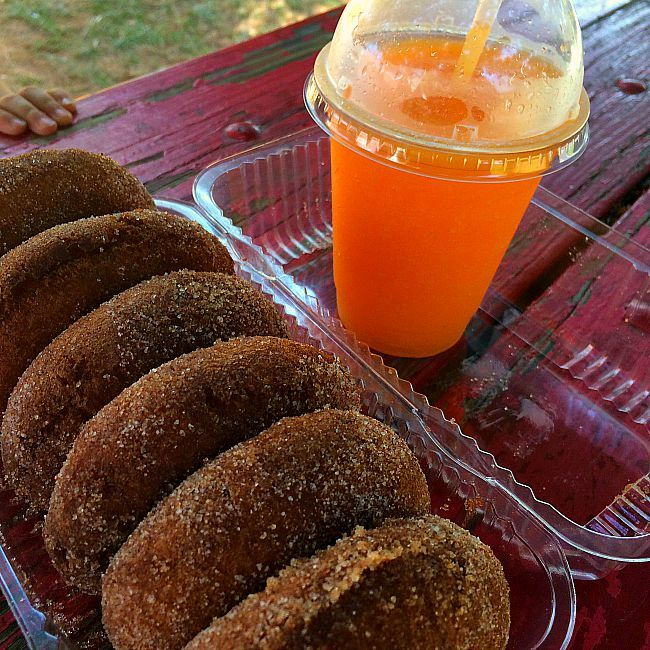 Baugher’s offers hayrides, pony rides, live music, face painting, and other fun fall festival activities. Thank you for reading and I hope you have fun picking apples for your apple treats this season as well!